August 13, 2018 © Thomas J. Kollenborn. All Rights Reserved. Don Shade was an old timer when it came to Dutch hunting. He began his search with men like Barry Storm in the early 1950’s. Don considered Barry Storm a good friend. Don told me about how Barry moved the “Two Soldiers” story from the Mount Ord area to the Weaver’s Needle area. I recall one time sitting on the porch of the Bluebird talking to Barry Storm and Don Shade. Don made a couple of trips with Barry to Arizona when he was selling books. I don’t recall what year these trips occurred, but I am guessing it was in the early 1960’s. Don talked about some of the more bizarre possibilities associated with the Superstition Mountains and lost treasure. He tried to solve the mysterious content of several maps, especially those with cryptic symbolism. It was toward the end of 1980, Don Shade came across a cryptic map allegedly given to somebody by Marie Jones, the infamous adversary of Ed Piper, near Weaver’s Needle. It was the same map Charles Kenworthy had analyzed by several different universities, including UCLA, Harvard, MIT and Hebrew University in Israel, because he believed the map was in some form of Hebrew. The origin of the map was and still remains unknown; however, there were stories about its source. One story claims the map was originally found on a flat sheet of native copper. This sheet of copper had been rolled up and found buried in the Superstition Mountains at some undisclosed location. Kenworthy had worked on deciphering this map for several years. Don Shade found the map extremely interesting. The origin of the map was never established, but Shade eventually pronounced the map authentic and placed it in his book, Esperanza on page 104. Don claimed to have located a worked out mine from the information he gathered from this map. The site of the mine was in a rugged tributary of Old West Boulder Canyon. Several years ago, in late May, I rode into the canyon and packed Don Shade and his camp out of this area. On this particular occasion, Shade was really pleased to see me in his camp. It was getting hot, he was low on water and he needed to get out of the mountains. Don always kept sufficient supplies in camp. He always had lots of water hidden about his camp; however, this had been a dry year. As I was packing his gear, he said he could have lasted most of the summer if nobody had showed up to pack him out. He was seventy-six years old that spring. Don Shade had some unusual methods that helped him to interpolate his ideas with other original information. It was this type of research that led Don to the site near Old West Boulder Canyon twenty-five years ago. Don Shade never gave up his search for the Dutchman’s Mine. 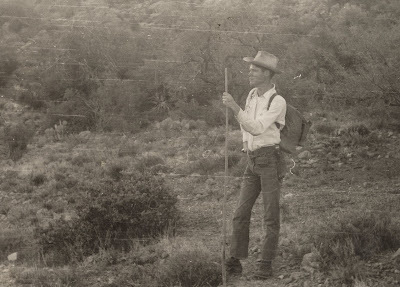 He did eventually publish his book, The World Famous Lost Dutchman Mine: Esperanza* in 1994. Don Shade was an intelligent and interesting individual. You might find a copy of his book in the City of Apache Junction’s Library. He was a kind and honest person dedicated to history and legends of Superstition Mountain. Don Shade in camp somewhere around West Boulder Canyon. I packed him out of the mountains on his last trip to West Boulder Canyon many years ago. Donald Maurice Shade was born on August 28, 1915 in Hubbard, Iowa. Don was an outstanding athlete in high school. He was a four-year letterman in basketball and earned all-state honors as a shooting guard. Don attended college between 1935-1938 majoring in business law. Don Shade enlisted in the United States Army in 1940 and was discharged in 1946 as a Sergeant Major. Don fought in many of the major battles from Omaha Beach to Berlin in Europe during World War II. Don Shade was such a gentle soul to be such a brave warrior during a very violent time in our history. *A note from the Apache Junction Public Library: A copy of Don Shade's book is available for checkout; there is also one in our Arizona History reserve collection. Please see library staff for assistance locating either copy. 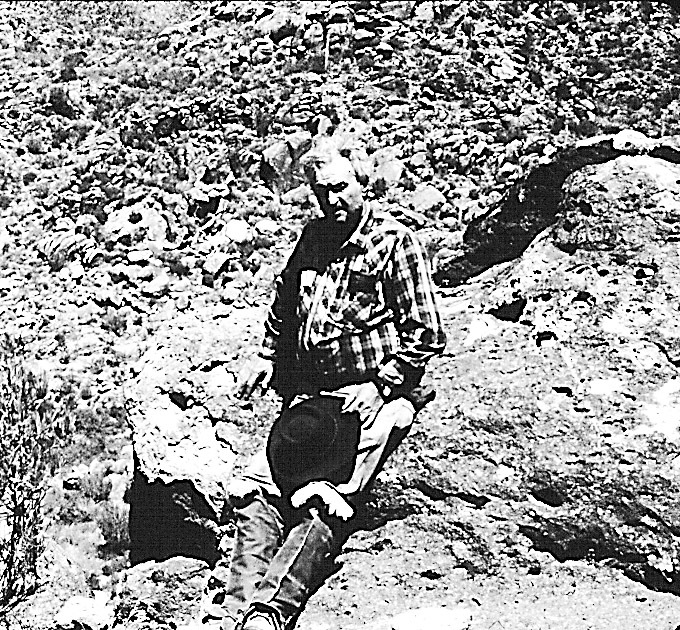 Tom Kollenborn, 1938-2018, was a noted author and historian of the Superstition Wilderness and one of the leading experts on the Lost Dutchman's Gold Mine legend. 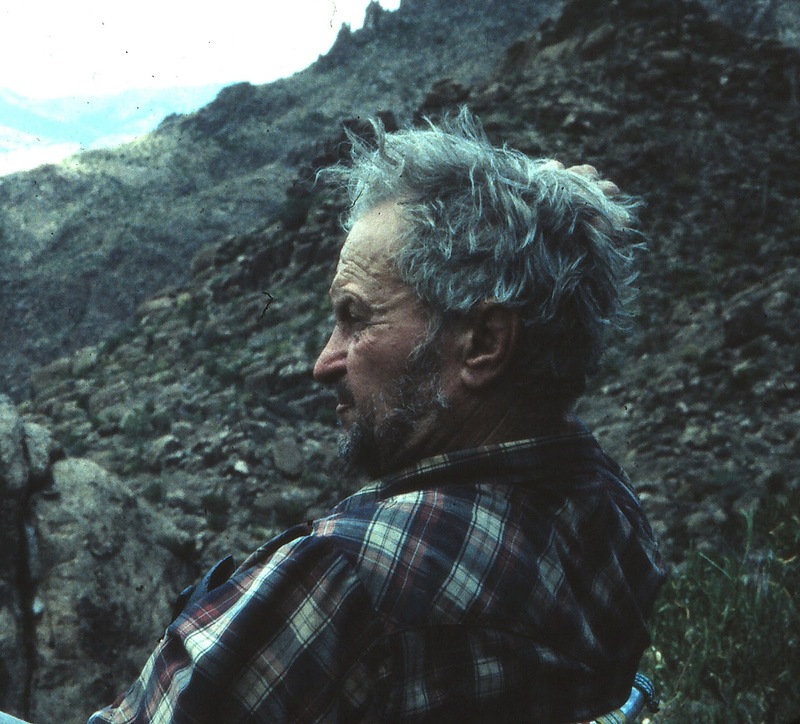 He wrote numerous articles and books about the Apache Trail and related history. 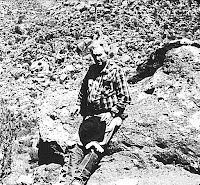 Tom shared his experience with the public every week in the Apache Junction News with a publication called the "Kollenborn Chronicles.” This website is made possible because of Mr. Kollenborn's extensive research and dedication of preserving the history of the Superstition Wilderness and the historic Apache Trail of Arizona. Special thanks to the organizations and businesses listed below for making this website possible.